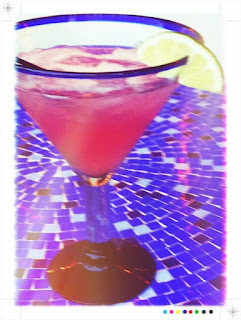 Young and Entertaining: Prickly Pear Margs! Combine 2 oz. white tequila, 1 oz. cointreau, juice of 1/2 lime, and 1 oz. prickly pear syrup in a shaker filled with ice. Shake vigorously to combine. Pour over ice (or blend!) and garnish with a lime. This is great served with a sugared or salted rim. Yum!